A Note from the KC Planning Studio of Gould Evans | whitespace. 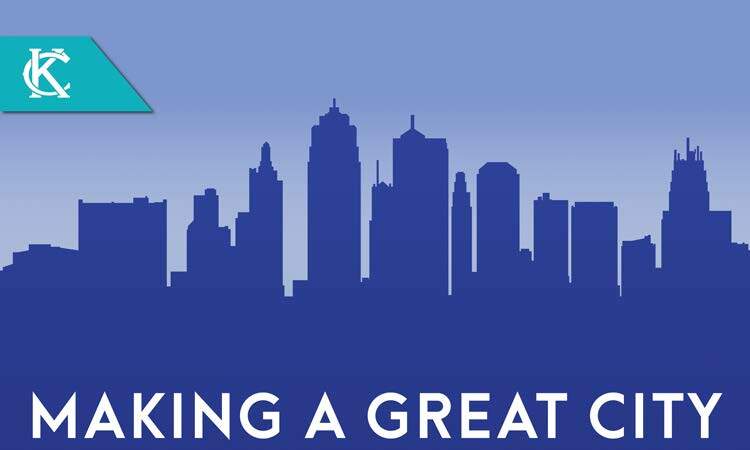 The KC Planning Studio of Gould Evans is excited to share some of the major happenings and accomplishments grown out of the Making a Great City speaker series in 2018. This speaker series was designed to advance solutions to our country’s infrastructure crisis and point Kansas City toward being a greater, more productive city. We kicked off the series with Chuck Marohn of Strong Towns who presented the “Growth Ponzi Scheme”, helping us understand the effects of the past 75 years of development, a grand experiment resulting in the overbuilding and eventual deterioration of non-affordable infrastructure in cities across the country. Joe Minicozzi with Urban3 did the math for us, underscoring Chuck’s message through visual storytelling that illustrated the value and the liabilities within our cities. Joe made the case for supporting productive development that more than pays its share of infrastructure burden. Jim Kumon of the Incremental Development Alliance showed how small scale, incremental development – defined as detached houses, small commercial buildings, duplexes to twelve unit apartment buildings – builds strong neighborhoods and provides the bedrock of a city’s financial sustainability and entrepreneurial empowerment. Chuck Marohn was invited back to Kansas City to present his message to a Kansas City Chamber luncheon sponsored by Polsinelli. That evening, he provided the fourth “Making a Great City” series presentation, encouraging an incremental approach for improving existing neighborhoods. Monte Anderson visited Kansas City on behalf of the Incremental Development Alliance to help recruit participants for “Small Development Workshop” taking place in October. His presentation at the Kauffman Foundation presented a number of case studies featuring his own successful, unconventional small-scale development projects in dis-invested communities south of Dallas, Texas. The Incremental Development Alliance facilitated a full day workshop at the Downtown Library. The Workshop sold out, with more than 100 attendees interested in learning about the development process, the challenges of small-scale developers, and the mechanism through which small developers around the country are overcoming those barriers. AltCap and Gould Evans announced two scholarships available to aspiring developers interested in attending the next Incremental Development Alliance Bootcamp in February in Albion, Michigan. Attendees will bring a real project to this two-day boot camp and be guided through the development of a pro forma, the creation of an investor proposal package, the zoning process, and the process of pitching their project to funding sources. We’re determined to bring incremental development forward in discussions our on how to build greater and more productive cities. We will be announcing 2019 speakers and events in the near future, and we are excited for the Kansas City community’s continued participation in these conversations. The Making a Great City speaker series was co-presented by the Hall Family Foundation, Gould Evans, Greater Kansas City LISC (Local Initiatives Support Corporation), the local council of the Urban Land Institute, the Mid-America Regional Council, Newmark Grubb Zimmer, and the Kansas City Regional Association of Realtors. The Small-Scale Development Workshop would not have been possible without the support of our sponsors including AltCap, the Urban Land Institute of KC, First Missouri Bank, the Economic Development Corporation of Kansas City, LISC, Kansas City Public Library, Mid-America Regional Council, Gould Evans, and Vireo.